She may be worried about confrontations with zombies as Michonne on The Walking Dead, but in real life star Danai Gurira is concerned with pressing issues like the gender pay gap and a lack of confidence preventing young girls from achieving their dreams. At Variety's Power of Women: New York event presented by Lifetime, Gurira comments on the powerful woman she finds most inspiring and explains why all women can learn a lot from her idol. The legacy she left is so palpably, tangibly powerful, inspiring, and it allows all girls and women across the globe to know that they can pretty much do whatever they put their minds to, because that’s what her life tells us. She was an activist. She was a humanitarian. She was a writer. She was a poet. She was an actor. She was — everything she wanted to get done, she got done. I come across a lot of young women and girls right now in this generation who come up to me and say, "I just don't think I can because I'm scared because I'm nervous about this because..." and they stop themselves based on actual fiction. That, to me, is so the opposite of what Dr. Maya Angelou left for us to see as an example. 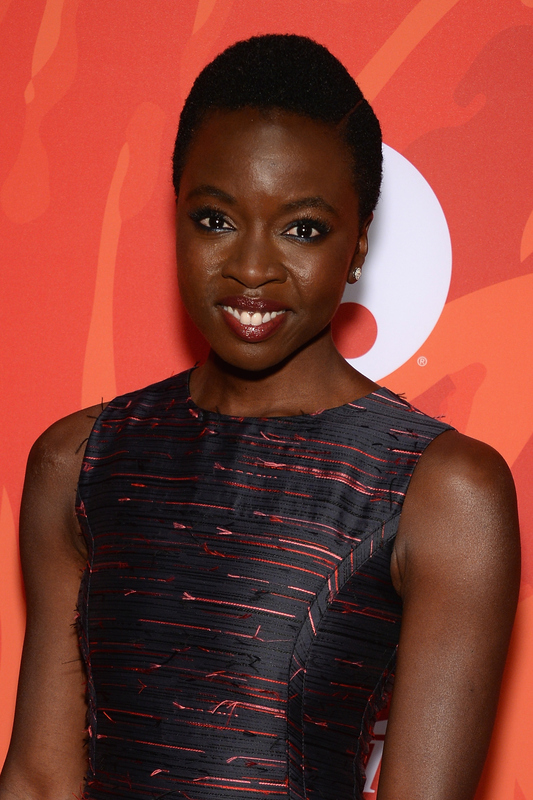 As for Gurira's own advice for young women, she believes that you yourself can be your biggest obstacle, which is something worth striving to overcome. "I encourage all young girls: stop getting in our own way," she says. "We have things to do, like this luncheon shows us. We have to enact our power in the world. The gender gap is global." Gurira speaks with such passion that it's impossible for me not to feel inspired, too. She finishes up by referencing another beacon of positivity: "And really, as Dr. Martin Luther King says, no one really hands you your power. You kind of have to go get it."